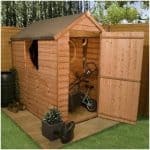 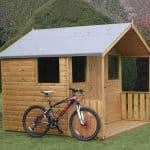 This BillyOh 4000 is the 16 x 8’ option but it is available in a variety of different sizes to suit your garden size or your storage needs, this shed is an ideal choice. 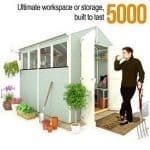 The BillyOh 4000 Windowless shed in this size is strong and sturdy, large enough for plenty of equipment and made from hardwearing wood with tongue & groove cladding and will easily store everything tidily away. 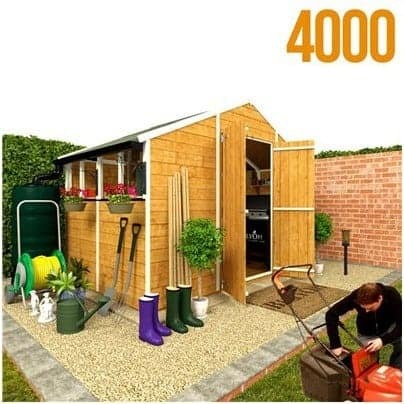 If you’re a gardener who likes to escape every now and then, you probably can pop up a deckchair for a sit down with a good book and a cuppa too! 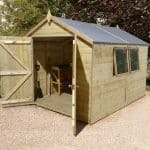 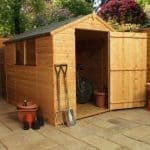 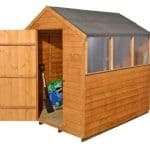 A good value, long lasting and visually appealing shed with so much storage and workshop space you will disappear for hours on end planting, tidying or as we strongly suggest – just putting your feet up.